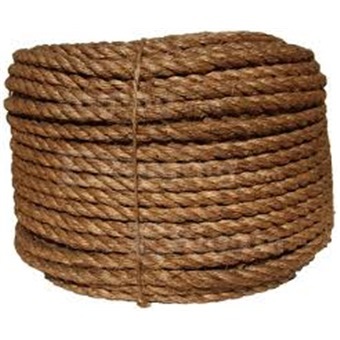 Manila rope is a type of rope made from manila hemp. 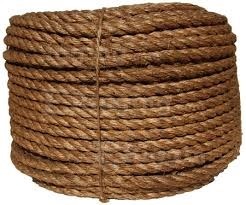 Manila hemp is a type of fiber obtained from the leaves of the abacá. It is not actually hemp, but named so because hemp was long a major source of fiber, and other fibers were sometimes named after it. The name refers to the capital of the Philippines, one of the main producers of abacá.